Many musicians, painters, writers, composers, and other artists believe that alcohol and drugs boost their creativity. They may feel they need to rely on substances to create their artwork, music or novels, believing that alcohol and drugs feed their creativity. This misconception has caught many artists from our past and present and hauled them into addiction, and, in some cases, death. Opposing to a mistaken belief that substance use enhances creativity, research has proved that in addition to genetics, creativity comes from the combination of early experiences, family nurturance, resilience, and a constant practice. Not drugs or alcohol. Creativity expression in recovery can play a significant role in healing from addiction. Moreover, creative therapy proved to be particularly helpful for people who report struggling to identify or understand their own or/and other people’s feelings as well as inability to translate feelings into words. These people may benefit from creative approaches to substance abuse recovery such as music therapy, psychodrama or art therapy. In addition, it is believed that the creative process used in a mindful way can considerably help the addiction recovery process. Mindfulness represents our ability to actively pay attention to the present moment without any judgment or criticism. Different forms of artistic expression can help our minds relax, focus on the existing moment, and express bottled-up emotions. Creative experiences help healing and recovery in many ways. Here are some of them. 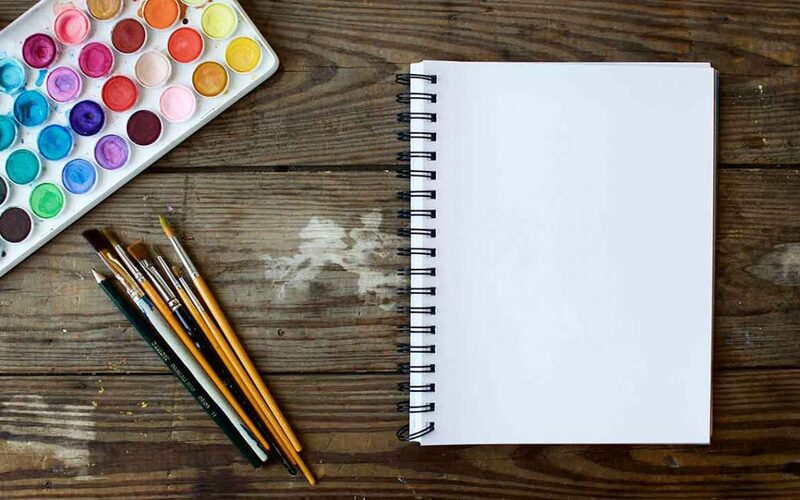 Engaging in a creative expression can help you recognize your emotions and connect with them. For example, colouring therapy uses pre-drawn mandalas to help reduce stress and anxiety and to promote relaxation of mind and body. In fact, studies show that colouring therapy has effects similar to mindful meditation. It helps you focus in the same way and release your negative thoughts. Creative expression can also help process the feelings of guilt and shame often present in people struggling with addiction. Individuals who are not ready to talk about their addiction or certain stressful life events may be able to use art, writing, or music to describe how they feel. In addition, creative approaches in therapy can be a good start that allows people to gradually open up and process painful experiences. There are many ways to use creativity in your healing process. Writing a journal, painting, and performing music help express and regulate feelings, accept yourself and become more self-aware. Writing down your thoughts, feelings, and experiences without censoring them has many benefits. Expressing yourself through writing can help understand your thoughts and feelings, evaluate your experiences, and come to an insightful understanding of yourself. Studies show that writing activates our brains analytical and rational left side. At the same time, the creative and intuitive right side of the brain is free to create and explore, allowing us to better understand ourselves. Furthermore, journaling helps manage anxiety and depression. It can reduce stress, boost your self-esteem and help express your emotions and thoughts. Articulating your emotions through art can have an important therapeutic effect. The use of different materials and techniques can help express yourself and communicate your feelings. In addition, art activities encourage you to socialize and connect with other people with similar experiences. This way, creative activity helps create an important support network and build positive interpersonal relationships. Participating in music can help release emotions. In addition, music helps improve mood and increases optimism and a life joy. For example, singing can help let the tension out and ease painful emotions such as guilt, shame, anger, fear, or sadness. Playing with different sounds, melodies, and musical instruments can encourage emotional expression. Music, rhythm, and body movement can be used to express an array of emotions. Dance can help burn energy and show your feelings. Similarly, drama can also be a powerful creative outlet. It can enhance your self-confidence, promote your intuition and creativity and boost your social skills. Movement can help you feel more connected to your body and the world around you. A key part of your recovery is getting out of your old habits and replacing them with more productive ones. Creativity can help look at life from a new perspective – it creates an opportunity to explore your interests, connect to others, and express yourself. Those traveling their path of addiction recovery have their own ways of navigating challenges in recovery. The Intensive Recovery Program at Armour Addiction Services includes Poetry, Sound, and Art Therapy as part of the holistic approach to treating a myriad of addictions.